I figured Easter weekend would bring better deals, but so far the line-up is looking pretty weak. 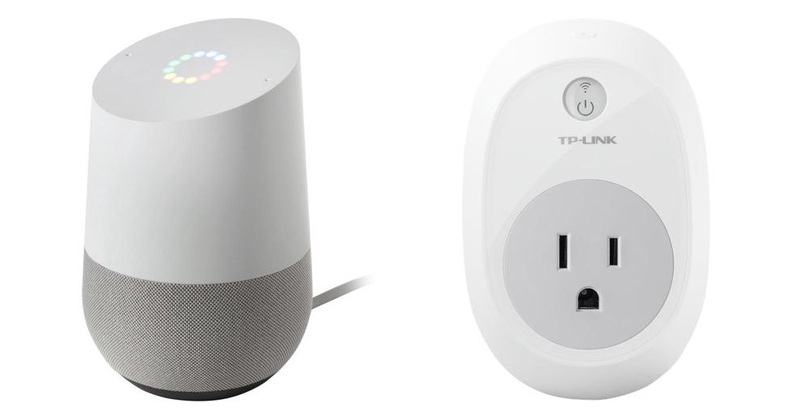 Still, this deal on a Google Home that includes a free TP-LINK HS100 smart plug outlet is solid. Basically, you pay $129 for the Google Home and get the smart plug for free ($30 value0). You guys know how Google Home works (our review), but with a smart plug like this TP-LINK HS100 unit that has WiFi, you can control items plugged into an outlet by voice (or app). If you have yet to get into home automation or smart stuff, this is a good way to start. Home is fun by itself, but it becomes much more powerful when you can tell it to take over your house. This particular TP-LINK HS100 plug has auto-off timers too, plus you can set schedules for it to work (ex: you are out of town and want to appear as if you are home). Pretty cool little plug.